Gunderson, Denton & Peterson has split to focus on our respective areas of practice. Debbi Mitchell is now working with the Gunderson Law Group, P.C. To contact Debbi, or for Estate or Immigration law, please call the Gunderson Law Group at (480) 750-7337. 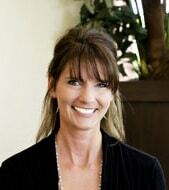 Debbi joined the firm in November 2007 and works as a paralegal in the areas of Estate Planning and Immigration. Prior to joining the firm, she worked for several years in Estate Planning, Employment litigation, and corporate matters. Debbi attended Arizona State University and then received her Paralegal Certification from Lamson College where she graduated with the Highest Distinction.